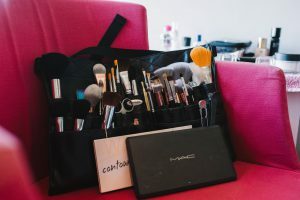 With so many different makeup brushes it can be hard to know which one to use for what, well the answer is there is no right or wrong. Well, within reason anyway….I can’t imagine anyone attempting to use a big fluffy powder brush to apply their eye shadow. But to help guide you, here’s what I choose to use and in the order that I’d usually apply makeup. 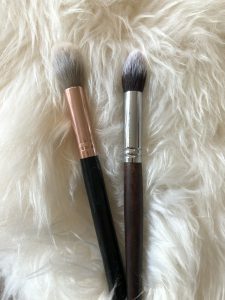 Starting with your eyes, to avoid any shadow dropping onto your foundation, I’d use a selection of natural bristle brushes. Ranging from a flat wider brush to a rounder socket brush. 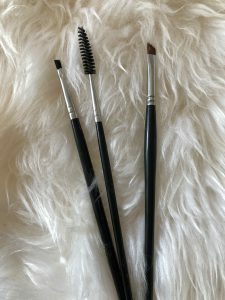 You can definitely create a great eye look with minimal brushes; the key is blending which is why I choose a natural bristle. 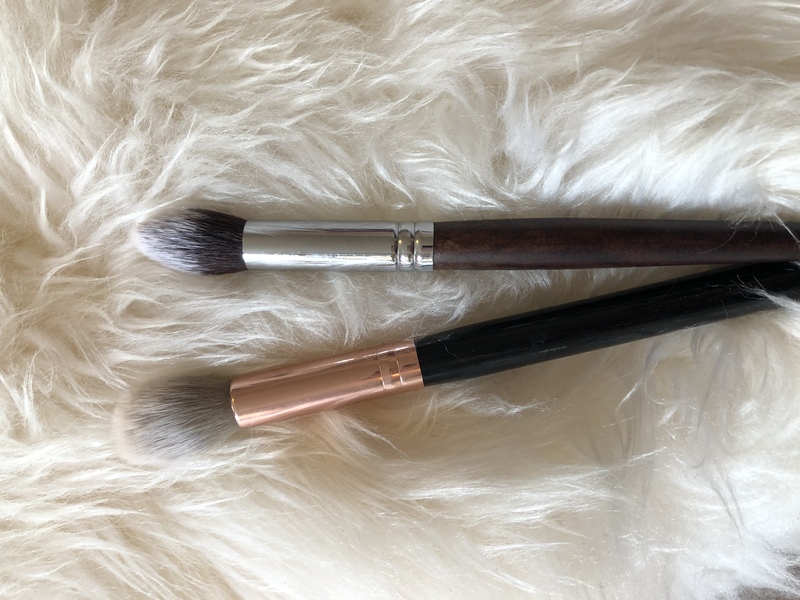 From left to right – I’d use this brush to apply a light, almost translucent shade all over your lid and up to your brow line, not only does it help highlight it helps for blending later. 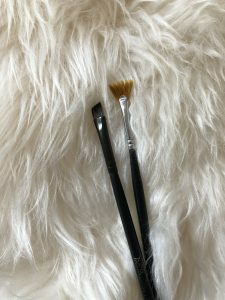 I’d then choose the next brush to apply my shadow colour of choice all over the lid area, sometimes I might apply two colours over the main lid so would pick two similar size and shape brushes for this. 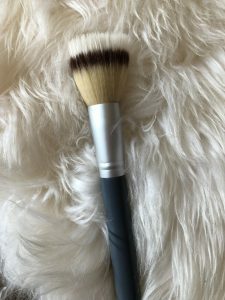 Then finally (keeping things simple in this case), I’d use a round shaped ‘socket brush’, this would be used for your darker shadow in the outer corner of your eyelid and into the socket crease. 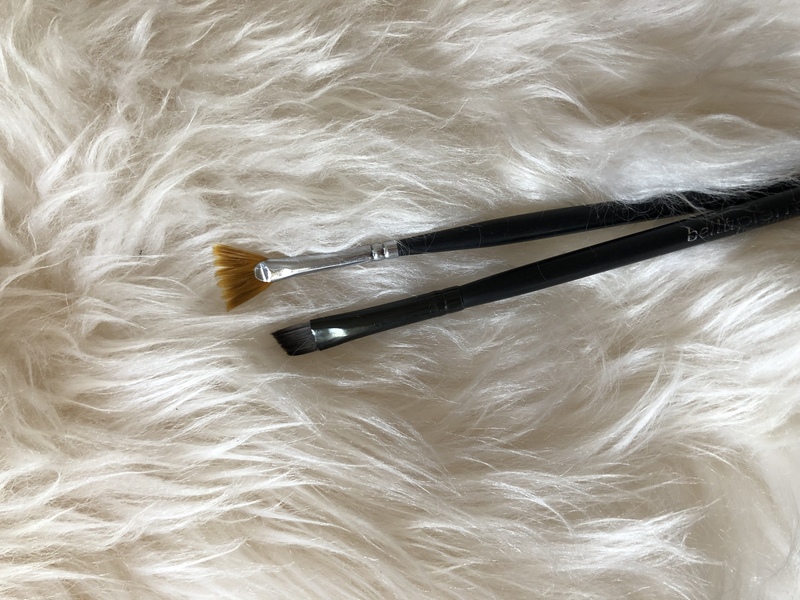 Your mascara and liner tend to come with brushes but if your liquid or cream liner doesn’t the best brushes to choose would be this angled grey brush, depending on how fine your line is and steady your hand. The mini fan brush is a great way to apply mascara without using the wand. Next is your foundation and concealer, for both I’d ideally use a synthetic bristle. The larger one for foundation and the smaller for concealer – if they’re cream products. Once foundation is applied one of my all time favourite brushes is this one, it’s feathery ends help blend your foundation into your skin so that appears absorbed into your face rather than sitting on your skin. Use circular motions all over the area to softly blend in your foundation and concealer. Then I’d usually set these products using a large rounded powder brush, I like to use a translucent powder all over and add colour with a bronzer and blusher where I need it. 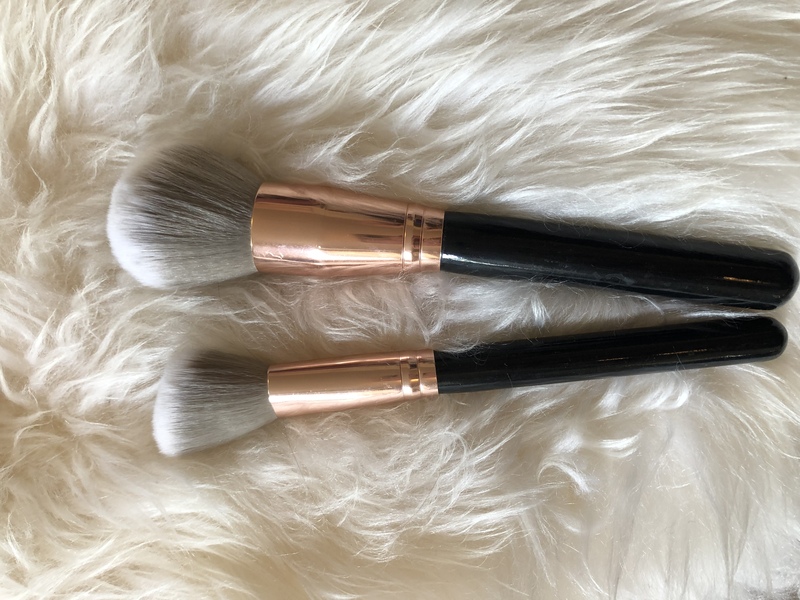 If you’re limited on brushes you can use your big powder brush for your bronzer too, but be conscious that it won’t be clear next time you use it. 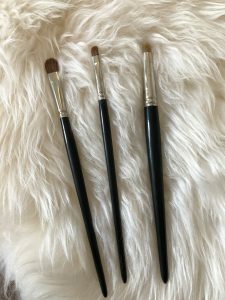 As for blusher, contour, highlighter and bronzer I tend to opt for brushes like this. 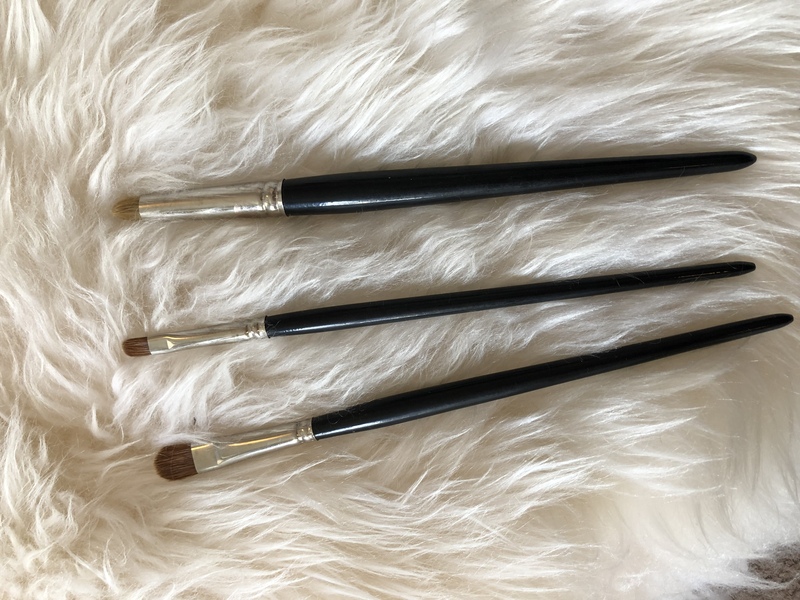 There is generally no right or wrong but here’s how I’d do it, angled brush for contouring, rounded smaller powder brush for blusher and bigger rounded brush for bronzer. 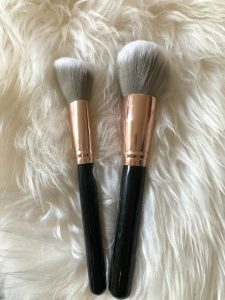 Highlighter can either be a powder brush or sometimes for more precise application I’ll use a large fan brush, this depends on the consistency of your product as well. The same is said for your contour; if you use a cream contour it maybe better to use synthetic bristle brush like this. 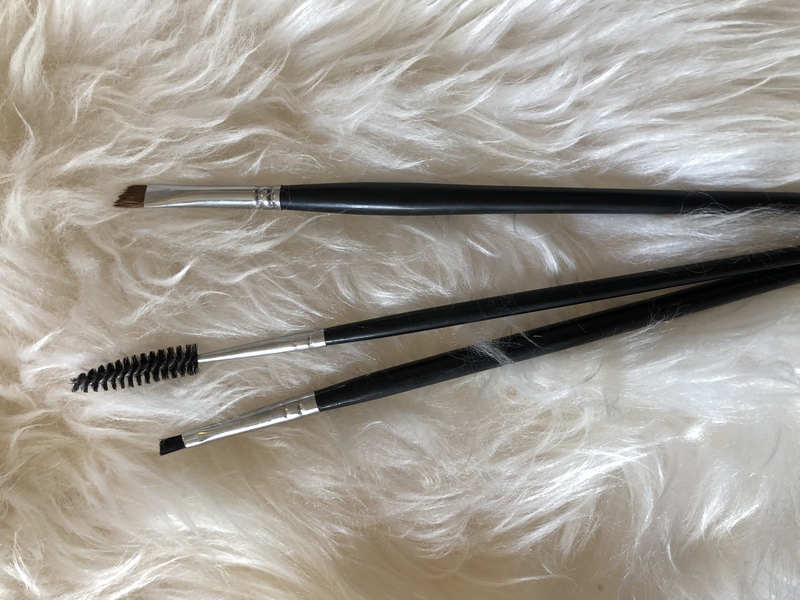 Finally brows and lips, to apply brow makeup when your product isn’t a pencil or doesn’t provide a brush my favourite to use is a very short coarse angled bristle and a brow brush to smooth and align hairs. This is because I usually apply a powder for brows, making it easier to mix the right shade for clients and blend softly. You tend not to need a brush for lip colour; in general you apply your liner straight from the pencil and the lipstick or gloss from the packaging. But if you were to use a brush, a short angled soft synthetic bristle brush would be best, like this. With a busy Summer Wedding season ahead, I won’t be posting again until the Autumn. This also creates an opportunity for you to get in touch with new ideas and suggestions for the future.